New Delhi: The National Green Tribunal has refused to interfere with the construction of Kailash Hospital at Noida Sector 71, saying no illegality has also been committed to complying with environmental laws during construction. 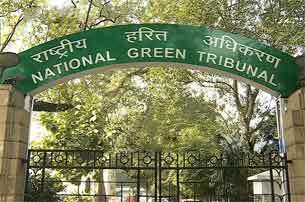 A bench headed by NGT Chairperson Justice Adarsh Kumar Goel said it was unable to find any material to reject the stand of the NOIDA Authority and the hospital that the construction for parking has not disturbed the green area. “We do not find any justification for interfering with the construction which is said to have been completed. However, maintenance of green areas is a dire need for environmental protection. Out of 100 trees transplanted, we are informed by counsel for the Noida Authority, many did not survive. In these circumstances, even though permission was granted for transplantation, the loss of green cover in the process must be fully made up. “Accordingly, we direct Noida Development Authority to plant 1,500 tall plants of endemic species in and around the adjoining area under the supervision of the Forest Department of State of Uttar Pradesh. The cost incurred be recovered from respondent no. 6. The plants will be maintained for a period of five years by Noida Authority,” the bench said. The tribunal directed the hospital, under the supervision of the Noida Authority and Central Ground Water Authority, to make provision for rainwater harvesting pits with a view to maintaining the water balance. “This direction may be carried out within one month… The surface area must be kept green and duly landscaped under the supervision of the Noida Authority. The Noida Authority will file the report of compliance to the Principal Chief Conservator of Forest, State of Uttar Pradesh who may verify the same on merits,” the bench said. The tribunal’s direction came while hearing a plea filed by environment activist Vikrant Tongad alleging encroachment of green belt area, violation of dust control norms and groundwater extraction for construction. “Though the hospital was initially on the site marked as ‘Utility and Facility’ in the Master Plan, it has encroached upon the areas shown as the green belt in the Master Plan and trees have been felled,” the petition said.